From Belleville, two soldiers died in the Seven Days’ Battle (Peninsula Campaign) as Thomas Stevens (Stephens) was killed June 27, 1862, and Captain Henry Benson died of his wounds on August 11, 1862. John Rogers (Rodgers) was killed in action on April 8, 1865, at Fort Davis while defending Washington, D.C., shortly before the war ended. The intersection of Main and Rutgers streets was dedicated in Honor of Captain Henry Benson who died of his wounds on the battlefield in the Civil War. The same day, the intersection of and Florence Avenue and Franklin Street was dedicated in honor of Frank A. Cancelliere who was KIA in Vietnam on Saturday, September 10, 2016. After the street ceremonies, family and friends gathered for refreshments at Belleville Nutley DAV Chapter 22, 612 Mill Street, Belleville, N.J.
Civil War naval commander is buried in Christ Church Cemetery, Belleville, N.J. 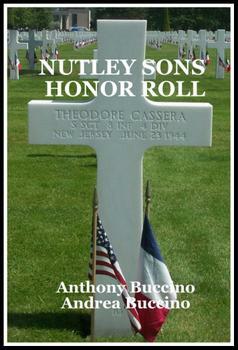 The full number of men from Belleville and Nutley (still a part of Belleville), N.J., who served during the war is difficult to determine. Many local men joined the service in New York and other locations as they saw the New Jersey militia as too slow in activating its troops. Born on April 28, 1812 at Belleville, New Jersey. Company F, Second Regiment, William E. Blewett 1st Lt. June 4, '62 June 4, '62 3 Yrs 2d Lt. June 12, '61; 1st Lt. vice Vreeland promoted; resigned Sept. 9, '62. Source: Civil War database, N.J. Civil War Record: Page 126, NEW JERSEY VOLUNTEERS. Company E, Second Regiment. 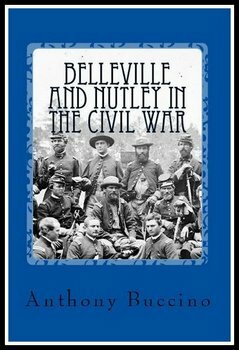 A compilation of information documenting the participation of the New Jersey towns of Belleville and Nutley in the American Civil War. Publication includes information on six local soldiers killed in action in the War Between the states, plus information on the battle campaigns in which they gave up their lives. Also lists information on participation in various New Jersey and other state militias by local men. Civil War Diary of James C. Taylor of Belleville, Company F, 39th Regiment, New Jersey Volunteers, in the War to Save the Union of the United States of America, 1925.